O1 – Offer an organized curriculum aligned to standards and outcomes. This program standard means that teachers will be thinking critically when writing lesson plans and will make sure that students are learning relevant material which meet state and national requirements. In teaching, curriculum should be easy to follow for maximum student understanding. The attached document is lesson plan for my micro teaching lesson presented to the MTMS Cohort. The accompanying picture is a sample of student work from the micro teaching lesson. This lesson plan demonstrates my understanding of planning collaborative learning and inquiry based learning activities. Asking good questions and facilitating a collaborative learning environment increases student engagement and ultimately increases learning (Borich, 2014). Within the lesson plan, I include questions which help students engage with the lesson and informally assess understanding. Students were also encouraged to work in groups where they could discuss their misunderstandings. The lesson clearly states the Common Core State Standards in Mathematics and the lesson aligns the learning activity with the learning target which helps students learn math concepts prescribed by the standard. After teaching the lesson, I reflected on improvements I could make to improve the lesson or better achieve the learning targets. I would scaffold the learning more, my understanding of vocabulary relating to sets and subsets is strong, yet often times students do not have such deep understanding. I worked to scaffold the lesson with some vocabulary, although, if I were to teach this same lesson again, I would use direct instruction to introduce vocabulary and concepts and then use the activity to help improve understanding by allowing structured freedom. I would conclude by providing more independent practice. The result for the student is that when lessons are highly organized and scaffolded well, their learning improves. The student will retain more taught information if we guide them towards independent thinking. In summary, by constructing this lesson, I learned about scaffolding well, using student inquiry when teaching a lesson and the possible challenges associated with gauging student learning. [Extra Learning] An additional learning point during creating the lesson is how easy it can become for teachers to use powerpoint slides to dominate classroom instruction and how dangerous it is to overload students with words on slides. Borich, G. D. (2014). Effective Teaching Methods: Research-Based Practice (8th ed.). Upper Saddle River, NJ. : Pearson Education, Inc. 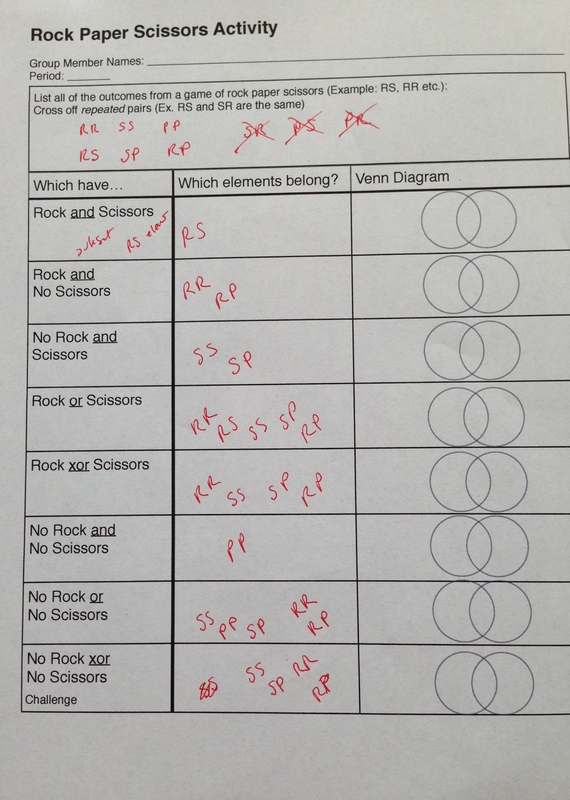 This entry was posted in O - Offer an organized and challenging curriculum, O1 - Offer an organized curriculum aligned with standards and tagged collaborative learning, EDU 6170: Inquiry Teaching and Assessment Methods for Math and Science I, engaging, Learning Target, Lesson Plan, Scaffolding, Sets, Standards, Subsets, Teaching. Bookmark the permalink.